Are the TRUANTS in your district getting the attention they need? The CTDTS was a successful Educational Provider working and networking with Students,Whanau, Police and the Community to help non-attending students re-engage in education so that they were NOT disadvantaged in their future. The Central Taranaki District Truancy Service (and South Taranaki District Truancy Service) had a 98%+ success rate with those schools and organisations who 'bought into' their service. The Ministry of Education, instructed by its political arm (Education Minister National Party) ordered a (new) Attendance Service to start in New Zealand in 2013. The ctdts in applying for a position decided to withdraw their application and collaborate with the YMCA as their 'Preferred Provider' to operate the Taranaki Region. 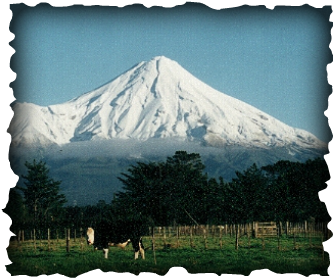 Tu Tama Wahine o Taranaki (TTWT) as their 'Preferred Provider'. "the evaluation considered that your proposal failed to demonstrate your cultural capability for Maori and Pasifika." In communication with the new provider (TTWT) they informed the manager of ctdts/stdts that they are NOT employing outside of their organisation. This is of concern to the past manager as this (new) service has NO experience in this field. The question from the District Truancy Services in nz was Why fix something that was never broken? He aha te mea nui o te ao, Maku e ki atu. He tangata, he tangata, he tangata. What is the most important thing in the world. It is people, people, people. Do you need an Education Consultant?